Welcome to MGA Cheer Extreme! Whether you’ve been with us for many seasons or this will be your first, we want to welcome you to the family. No matter what your previous cheerleading experience consisted of, we are confident that we’ll find the perfect place for you to grow during this next season. 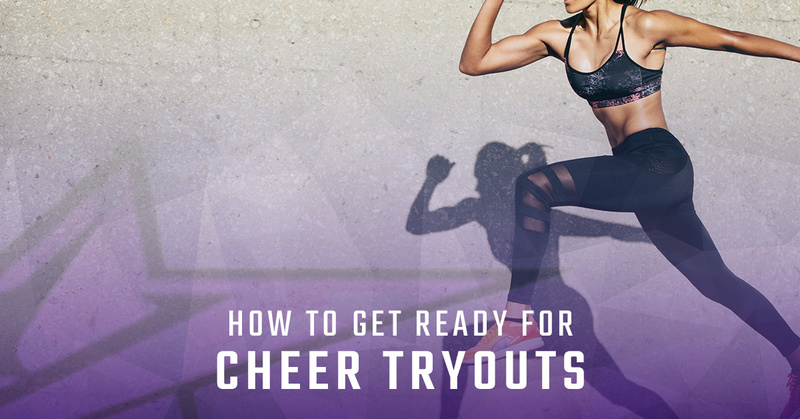 Today, we are here to share a few tips and strategies to keep in mind when you get ready for tryouts. Flexibility is a huge part of cheer, and it never hurts to start stretching now to help your flexibility as you move into next season. Of course, flexibility is much more than being able to comfortably sit in the splits. Active flexibility is a massive component, as it allows for all the fun body positions flyers get to pull. From a kick up into a scorpion to a simple heel stretch, active flexibility makes all aspects of cheer more dramatic and visually impressive. Don’t panic if you aren’t as flexible as a noodle on your tryout day. Instead, do what you can, and focus on showing the judges your strengths. Notice that we told you to “perfect your tumbling” — we said nothing about gaining new skills. Oftentimes, an athlete’s newer tumbling skills will not be quite performance-ready. If this is the case, we don’t want them throwing anything they cannot safely land time and time again. Perfecting your existing tumbling is a much better use of your time than pushing for a new skill you may not have in time for tryouts. Plus, pushing for a more advanced tumbling pass when you are not quite ready is a quick way to get injured. If you are trying to gain a new skill, make sure you do so with the close watch and care of a coach who can properly instruct you. If you are very new to cheer, to the point where you don’t know how to tumble yet, that is okay! The number one thing we look for in new all-star cheerleaders is energy. We want them to show us that they are excited to be here and to learn new things. Fast learners fit in great, and those with big smiles and major excitement do even better. If you feel you have the energy to be a great cheerleader, then show us. We can’t wait to see your smile. If you are ready to join the MGA Cheer Extreme family, give us a call! We’ll tell you more about tryouts and our expectations. From travel dates to monthly costs, we’ll let you know everything you need to know before committing to a season with us. You are more than welcome to stop by for a tour or even to try a class before you make your decision! It’s time to fly high, grow stronger, and capture your confidence as a cheerleader. Let’s hit that mat together. We’ll see you in the gym soon!